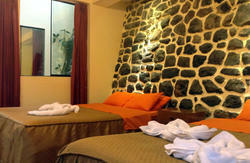 This Dutch- Peruvian run property has rooms with private and with shared bathroom, as well as 2 dorms. Beautifully restored building with a patio with a fireplace and a TV-room. There is some nice artwork in the rooms and the view over Cusco city and its main square is absolutely stunning. With a wide range of services is available, like laundry, breakfasts, Wifi and a computer where you can burn your own DVD's or CD's yourselve. The showers have steaming hot water 24/7. Also, there is a lot of usefull information about trips, tours and trekkings to be obtained at the reception, a free city map included in the room price. We are located at only 2 blocks from the Main Square of Cusco, called Plaza de Armas in Spanish or Haukaypata in the local Quechua language. A taxi anywhere in downtonw Cusco should cost no more than 2.5 soles, being less than 1 dollar. In case of doubt, you should mention 'El Colegio Salesiano' and you'll wind up straight at our doorstep. 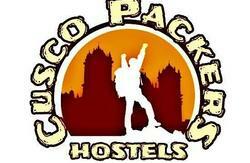 Your stay in Cusco will probably be the most important one from your whole trip through Peru. Therefore, you shouldnt go to a property lightly. Chances are youll be at the chosen property for 4 or more days. Picking The WalkOn Inn property is making a good choice. While everybody will say so about their own property, still you should consider us. Why? First of all, we have beautiful rooms, either with private or shared bathrooms and also a dorm. But then there is the patio with the fireplace, the breakfast and TV-room where you can watch your DVDs (or borrow some of ours.) More important however, may be the lucrative-free travel information we provide our guests. Not only to promote the travel agent at our front desk, but information that really matters and can save you a heap of trouble and discontent later on. What we say is what you get. There is free internet of course, with a Wi-Fi service should you travel with a laptop (or alike), a good yet cheap breakfast buffet (always served on time for any tour you may have planned for the day), laundry service, a restaurant with a number of snacks, wake-up call, correct and concise billing, safety box in the room and luggage storage in case you are out of town for one or more nights. In short a beautiful place with a great view over the Main Square of Cusco that offers a great and personal service to all its guests. Oh, a free tip for you: except for the Inka Trail that you should have booked ages ago, there is no rush to buy tours around Cusco, trips to Machu Picchu or the Sacred Valley before you arrive to Cusco. Better come to the hotel, let us give you the whole picture and then you can go and buy any of those. If your not sure, drop us a line and we'll get the required info to you. And of course, you never ever neither buy from nor believe people hanging out at bus stations or airport terminals to persuade you to go to their hotel or buy their tours. Its really not a good idea to work with these shady characters. From the Main Square of downtown Cusco it's only 2 block in Calle Suecia to the hotel. A taxi can take you there from anywhere in the centre for less then $1. The calle Suecia starts from the Main Square in the upper left corner if you're looking towards the cathedral.